LONDON, May 4, 2010 (AFP) - Manchester City manager Roberto Mancini has challenged his players to make history in Wednesday's crucial showdown against Tottenham. Mancini's side know victory over Spurs at Eastlands will leave them one more win away from finishing fourth in the Premier League and qualifying for the Champions League for the first time. City, who face West Ham in their final game of the season on Sunday, currently sit fifth in the table - one place and one point behind Tottenham - and Mancini wants his team to seize the opportunity to help the club enjoy an historic achievement. 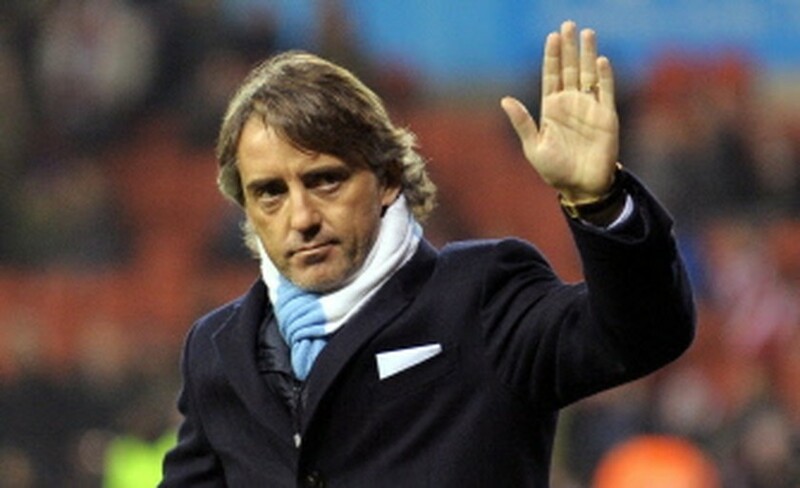 "I know this is an important moment for the club," Mancini said on Tuesday. "We have worked for this. All the players have worked for this target. "I have worked here for five months. I can build a good future here. We are trying to change the history of the club." Mancini's arrival at Eastlands was prompted by the decision to sack Mark Hughes for failing to keep up with City's points target to reach the Champions League. The club's Abu Dhabi-based owners are desperate to make it into Europe's elite club competition and, even though City still have a great chance to finish fourth, there has still been speculation linking Inter Milan boss Jose Mourinho with Mancini's job. But the Italian, who knows a Tottenham win would end City's challenge, insists he is confident he will still be in Manchester next season, whatever the result on Wednesday. "My future does not come down to this game," he said. "We have qualified for the Europa League next year, that is important. Now we have a chance to do more." Mancini is confident his players will be able to cope with the high-stakes nature of a match which is being billed as the 50 million pounds (75.5 million dollar) play-off, such are the financial rewards for clubs competing in the Champions League. "There is no pressure. It is a football match not a war," he said. "If you are not happy where you work I don't think you stay. I am happy because I want to build a good team here..
"Being in the Champions League would allow us to progress. It is important for the club and everyone here. "But we must not be nervous and I don't think the players are. They are all concentrated." Former Inter Milan coach Mancini has plenty of respect for Tottenham and he expects a high-quality encounter between the sides. "Tottenham are a good team," Mancini said. "They have very good players and a good manager, who is very experienced. "They have been fantastic in the Premier League this year. Now Tottenham and ourselves must play for fourth position. It is fantastic for us and them. "I can see how much people here want this. I would like all the people who work here to leave with a good feeling. I like this situation." Although Joleon Lescott has been ruled out of the run-in with a hamstring injury, City could have Gareth Barry available after the midfielder missed Saturday's victory over Aston Vila with a similar problem.